In competition matters, the primary public enforcement authority in Finland is the Finnish Competition and Consumer Authority (FCCA). The FCCA cannot impose administrative fines, but must make a fine proposal to the Market Court. The judgments of the Market Court can be appealed to the Supreme Administrative Court (SAC). Finnish competition enforcement is likely to undergo some changes in the near future. The Competition Act2 entered into force on 1 November 2011, replacing the former Act on Competition Restrictions.3 A new amendment process began in 2015, and in December 2017 a draft Government Bill on amendments to the Competition Act4 was published. Other recent significant developments concerned private enforcement, especially with the implementation of the EU Directive on Antitrust Damages Actions5 into national law by the new Antitrust Damages Act,6 which entered into force on 26 December 2016. The FCCA has announced that it will continue to focus on the detection of hard-core cartels in the future. The FCCA will also emphasise effective merger control with the intention of preventing the emergence of harmful concentrations in advance. Furthermore, the FCCA will continue to implement its supervisory powers concerning public sector entities with regard to competitive neutrality issues. The FCCA will also aim to ensure an efficient start to its new task of supervising the legality of public procurement, which was assigned to it as of the beginning of 2017.7 The FCCA rendered decisions in two public procurement cases during the first year of its mandate. The FCCA holds that it is important to intervene with regard to controlling abuses of a dominant position, since such anticompetitive behaviour damages other market operators and impairs the competitiveness of the whole economy. Finland has had a leniency programme in place since 1 May 2004. The programme was updated in the Competition Act, which entered into force in November 2011, and is now laid out in Sections 14 to 17 of the Competition Act. The leniency programme is very similar to the European Competition Network model leniency programme. In 2016, the revised leniency guidelines issued in 20118 were replaced with new guidelines9 that take account of the new Antitrust Damages Act. The FCCA received its first leniency case only minutes after the entry into force of the programme in 2004.10 However, after a spectacular start, there have been only a few leniency applications, which has clearly been a disappointment to the FCCA.11 The relatively small number of leniency cases is reflected in the number of the FCCA’s penalty payment proposals to the Market Court in cartel cases. In 2014, 2015 and 2016, the FCCA only brought one cartel case before the Market Court each year, while in 2013 and 2017 no cases were brought before the Market Court by the FCCA. On 25 January 2016, the FCCA submitted a proposal to the Market Court to impose a fine of €38 million on seven coach companies, the Finnish Bus and Coach Association and Oy Matkahuolto Ab (Matkahuolto), a service and marketing company that promotes bus and coach services in Finland. The FCCA also ordered Matkahuolto to cease all anticompetitive measures to foreclose competing coach companies from the market. The FCCA had started its investigations in 2011 on the basis of a complaint lodged by competitors. According to the proposal, the alleged cartel started in autumn 2008 and still partially continued at the time of the proposal. In December 2009, legislation was amended to open up coach traffic for competition. In a mutual understanding, major coach companies tried to prevent the opening of the market and new competitors’ entry to the market, among other things, by preventing competitors from accessing the travel and parcel services of Matkahuolto. Consumers could not find competitors’ departure information from Matkahuolto’s timetables or buy their tickets from Matkahuolto. Moreover, competitors were denied access to Matkahuolto’s parcel delivery system, access to which would have been essential from a business perspective. In measuring the amount of the proposed fine, the FCCA took into account as an aggravating factor that the Finnish Bus and Coach Association had previously been sanctioned for price recommendation. On 14 December 2017, the Market Court found the coach companies, the Finnish Bus and Coach Association and Matkahuolto guilty of restricting competition. However, the Market Court found that lobbying work, discussions and negotiations related thereto as well as measures concerning opposing the issuing of route licences did not constitute a prohibited restriction of competition. As a result, the fines imposed by the Market Court were significantly lower than those proposed by the FCCA, amounting to a total of €1.1 million. According to publicly available information, the FCCA decided to appeal the decision to the SAC. 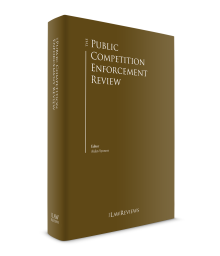 However, in reviewing Finnish competition law during the past few years, it is clear that private enforcement has been the most active segment. The first major private enforcement decisions concerned the Hydrogen Peroxide cartel case, where the Helsinki District Court rendered an interim judgment concerning certain preliminary questions, as well as two judgments related to the production of documents. The case has since been settled by the parties. In the Asphalt cartel case, the Helsinki District Court dismissed the damages claim of the Finnish state in its entirety, but awarded damages to a number of municipalities. While the claims of the state and of several municipalities were settled by the parties after the judgment of the Court of Appeal, a number of leaves to appeal were filed to the Supreme Court. The Supreme Court dismissed the majority of the applications, and granted limited leaves to appeal to one respondent and one claimant in September 2017. Some applications for leave to appeal were left in abeyance until final decisions are given in the matters in which leave to appeal was granted. In December 2017, the Supreme Court made a reference for a preliminary ruling to the European Court of Justice regarding the question of economic succession in determining the parties liable for damages. Several damages cases are also pending before courts concerning an infringement involving the procurement of raw wood. Further, multiple damages claims have been lodged before the Helsinki District Court in an abuse of dominance case involving national dairy products champion Valio Ltd (Valio). It seems clear that the FCCA will continue to focus on the investigation of hard-core cartels. Under the prioritising rule of Section 32 of the Competition Act, the FCCA does not need to conduct an in-depth investigation if an infringement is deemed unlikely at the outset or, irrespective of the infringement’s likelihood, if competition is considered effective on the whole. Moreover, according to publicly available information, the FCCA is currently investigating new cartel cases that may in future result in penalty payment proposals to the Market Court. Sections 5 and 7 of the Competition Act set out the prohibited restraints on competition and abuse of dominant positions respectively. The sections have been harmonised with Articles 101 and 102 TFEU. The FCCA has made only a handful of penalty payment proposals to the Market Court in dominance cases. In most of the few cases brought to the Market Court, the level of fines has been modest. Typical Section 7 investigations of the FCCA have lasted a long time and have ended with the FCCA closing the case without further measures. The experiences have been equally frustrating to both the targeted undertaking and the complainant. However, the FCCA has made one significant fine proposal in a dominance case to the Market Court in recent years. In December 2012, the FCCA proposed that the Market Court impose a fine of €70 million on Valio. The Market Court rendered its decision in the case in summer 2014, and it is summarised below. The decision of the Market Court became final when the SAC dismissed Valio’s appeal in December 2016. In 2017, the FCCA concluded several investigations regarding suspected restraints on competition. In some of the cases, the companies involved changed their suspected market behaviour on their own initiative, and in others the FCCA found that there was no evidence of anticompetitive behaviour. For example, in November 2017, the FCCA announced it had ended investigations regarding the KTK transport service system, because the parties had amended the problematic terms and conditions under investigation. KTK companies are transport and logistics services companies owned by private transport entrepreneurs that sell and market transport services provided by transport entrepreneurs. The FCCA had initiated investigations in April 2014 concerning the contractual terms and templates used in transporter contracts of KTK companies and the Association of Finnish Transport Centres. The problematic aspects concerned, among other things, the fact that KTK companies fixed the pricing of the services offered by the transport service entrepreneurs and the long competition prohibition periods which those entrepreneurs were subject to. According to the FCCA, the terms made it difficult for the entrepreneurs to engage in business that is not related to the KTK system. Due to the investigation, certain KTK companies amended their transporter contracts. In addition, the Association of Finnish Transport Centres revised its contract templates to remove terms that may restrict competition. A commitment decision issued by the FCCA in November 2016 concerned the collaboration of Finnish banks regarding standard terms and conditions that had formed a basis for the general loan terms and conditions in consumer credit lending. The standard terms and conditions included a model term that granted a bank the right to increase charges and fees for consumer credit due to increased costs or other justified reasons. The term in question had been incorporated by the banks into their consumer credit agreements. According to the FCCA’s preliminary assessment, the model term had aimed to transfer the risk associated with rising price levels and increasing costs from the banks to consumers. Therefore, pursuant to the preliminary assessment, the aim of the practice had been to restrict price competition between the banks. The banks that had participated in the restrictive practice committed to no longer applying the model term, and to replacing it with a new term that restricted the banks’ right to adjust charges and fees for existing consumer credit agreements. Equivalent restrictions must also be applied to new consumer credit agreements concluded over the next three years. The FCCA issued a commitment decision in June 2017 concerning the new mobile payment system of Automatia Pankkiautomaatit Oy (Automatia). According to a preliminary assessment, the FCCA considered that Automatia’s payment system may result in adverse competitive effects on the market of real-time payments. The FCCA found that since Automatia’s system utilised a nationally customised technical standard, it would reduce both the incentives for foreign payment service providers to join the system and the possibilities of customers joining the system to start using competing, Pan-European standards later on. As a result, Automatia committed, among other things, to offering interfaces that conform to the Pan-European standard, and offering all parties to the system a possibility to participate in decision-making regarding the preparation of common policies and technical requirements. In June 2014, the Market Court handed down a decision in a case in which national dairy products champion Valio was accused by the FCCA of having abused its dominant position on the Finnish market for fresh milk.13 Valio had allegedly engaged in predatory pricing with the aim of driving out its main competitor Arla Oy (Arla, formerly Arla Ingman Oy Ab). The Market Court upheld the FCCA decision of December 2012, in which the FCCA had ordered Valio to cease its conduct. The Court found that Valio had sold fresh milk below average variable costs in order to drive out competition and eventually raise prices. Additionally, the Court imposed a fine amounting to €70 million on Valio as proposed by the FCCA. Valio appealed the Market Court’s decision to the SAC. As previously mentioned, the SAC upheld the Market Court’s ruling in December 2016. This is the highest single fine ever imposed in Finland for any competition law infringement. The Market Court applied both Finnish competition law and Article 102 TFEU. The question of Valio’s dominance had been established in previous decisions, and despite Valio’s objections, the Market Court held that Valio was in a dominant position on the Finnish market for fresh milk. The FCCA had argued that based on EU case law, the relevant test for predatory pricing is selling below average variable costs, which is in itself an indication of abuse of dominance. According to the FCCA, the cost of raw milk was a variable cost. On the basis of such a calculation, Valio had sold fresh milk at a loss during the relevant period. The Market Court agreed with the FCCA that pricing below average variable costs is an indication of abuse, and noted that case law did not require evidence of intent in such a case. The FCCA had in any case invoked evidence that Valio had the intent of driving out its competitor, Arla, from the market. The Market Court agreed that emails by Valio’s management showed that Valio had the intent of foreclosing the market and regaining a higher market share. In addition, the rebates given to specific customers had the effect of amplifying the foreclosing effect of the predatory pricing. Arla was forced to offer even lower prices than Valio in order to keep its customers from switching to Valio. The Market Court viewed this as a clear indication of the intent to foreclose Arla from the market. This behaviour could not be objectively justified. Valio had previously been sanctioned for abusing its dominant position, which increased the fine. In addition, the Market Court found Valio’s unwillingness to cease the conduct during the administrative proceedings to be an aggravating factor. On a separate stream, Arla has lodged a damages claim of €58 million against Valio before the Helsinki District Court. Other claims have also been lodged. 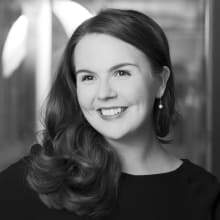 The prohibition set forth in Section 7 of the Competition Act of abuse of dominant market position can, by virtue of Section 4a, be applied to companies whose market share in the Finnish groceries retail markets exceeds 30 per cent. In the present market situation, the provision concerns Kesko Food Ltd (Kesko Food) and S Group. After the entry into force of Section 4a in 2014, the FCCA launched an investigation concerning the loyalty scheme of SOK Corporation, a part of S Group. In the nationwide loyalty scheme, a customer’s purchases at S Group stores accumulate bonus points that the customer can utilise to earn discounts on their future purchases. The FCCA rendered a decision on the matter in October 2016 and came to the conclusion that the loyalty scheme does not have a considerable anticompetitive effect on consumer goods trade in Finland. Another investigation launched by the FCCA in 2014 concerned the practices of Kesko Food and SOK Corporation with regard to the sharing of sales data. First, the FCCA assessed whether the retail chains, which were in a dominant position, should have amended their terms for disclosing sales data to their suppliers, and secondly whether the retail chains should have been obliged to disclose their sales data to data-sharing operators. Nevertheless, in June 2016 the FCCA decided not to take further action on the matter. The FCCA had not found any proof indicating that the existing practices would impair or distort competition in the daily consumer goods market. Furthermore, the FCCA noted that setting an obligation to disclose sales data does not necessarily have a positive effect on competition. As noted above, the Competition Act contains a provision on prioritisation of the FCCA’s activities. Even before the entry into force of the prioritisation provision in Section 32 of the Competition Act, the FCCA closed a majority of its dominance investigations without further measures noting, inter alia, that its role is not to solve individual contractual disputes between parties but to ensure the functioning of the market and healthy competition.14 Section 32 codifies the practice and grants the FCCA a right to remove cases that have only a minor impact on the economy more quickly. The FCCA has applied the prioritisation provision regularly, and is expected to continue to do so in the future. As a result of the provision, the FCCA is able to focus on the more serious restraints on competition. This has had a positive effect on the processing times as well, as these have tended to be long. The FCCA has internally set a target that no case would be under investigation for longer than three years. At the end of 2014 there were only five cases that had been pending longer than three years while in 2009, for instance, there were 40 such cases. Chapter 4a of the Competition Act entrusts the FCCA with a supervisory task to enhance competitive neutrality between public and private businesses. Pursuant to the Chapter, the FCCA has the power to intervene in the business activities of the municipalities, the joint municipal authorities and the state, as well as the entities over which they have control if such public sector entity is distorting the conditions for competition or preventing the establishment or development of competition on the market. On 8 May 2017, the FCCA published guidelines on market-based pricing to help public sector entities to assess the competitive neutrality of their own activities.16 The guidelines describe the principles and measures of the FCCA in the supervision of pricing. According to the guidelines, the supervision consists of assessing both the setting of prices and the economic activity of the public sector entities. The FCCA has announced that it will focus on developing the identification and surveillance of industries suffering from weak competition, and intervene with activities maintaining and enhancing passive competition and anticompetitive coordination within sectors where competition is weak. In October 2017, the FCCA announced that it is investigating certain companies operating in the social welfare and healthcare market. The inspections were carried out in August 2017 with the purpose of determining whether said companies had impeded competition when they participated in tender processes. In addition, in March 2017, the FCCA announced investigations regarding possible anticompetitive measures in the property management market. Both investigations are still ongoing. There are no national rules on state aid, and the applicable rules are those laid down in Articles 107 to 109 TFEU. However, there are procedural rules concerning, inter alia, the recovery of unlawful state aid and the European Commission’s inspection powers, the duty to notify state aid to the Commission and certain exemptions from this duty (e.g., the de minimis rule and the general block exemption regulation). The contact point for the Commission in state aid matters is the Ministry of Economic Affairs and Employment. The FCCA does not have a role concerning state aid. According to publicly available information, a complaint was notified to the Commission concerning the Act on Excise Duty on Sweets, Ice Cream and Soft Drinks18 in 2013. The Act, which entered into force on 1 January 2011, pertained only to certain products and product categories that were specified in terms of customs tariff nomenclature codes. A large number of products and product categories were exempt, even if they were similar to the products subject to the duty and even though they competed with those products subject to the duty. According to the complaint, the duty conferred forbidden state aid on the exempt products. The Commission unofficially notified Finland that it considered that the taxation in the form described above was contrary to the state aid rules. Considering its purpose, the tax did not treat similar products neutrally and included selective aid to products that were not taxed. Consequently, the tax on sweets and ice cream was abandoned at the beginning of 2017. However, the tax continues to apply to soft drinks. 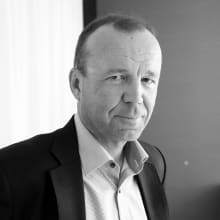 In October 2017, the European Commission concluded its investigations concerning alleged illegal state aid to Yliopiston Apteekki Oy (University Pharmacy), which is owned by the University of Helsinki. According to a complaint made in 2015, the fact that pursuant to the Medicines Act,19 University Pharmacy may keep up to 16 branch pharmacies, when a licensed pharmacist may only keep up to three branch pharmacies, and that University Pharmacy is not charged for the use of extra licences, constitutes illegal state aid. In addition, University Pharmacy would allegedly have benefited from preferential tax treatment through the reimbursement of taxes to the University of Helsinki. Nevertheless, the European Commission came to the conclusion that the two measures do not constitute state aid within the meaning of Article 107(1) TFEU. In June 2017, the Finnish Media Federation, an advocacy organisation for the Finnish media industry and printing companies, lodged a complaint to the European Commission claiming that the public funding of Yleisradio Oy’s (Yle) textual journalistic online content constitutes prohibited state aid. Yle is a national media company owned mostly by the state, and its operations are funded primarily through the Public Broadcasting Tax. According to the Finnish Media Federation, the provision of textual journalism online is not to be considered broadcasting under the Amsterdam Protocol and the Communication on public service broadcasting.21 Instead, the services in question should be evaluated under the EU services of general economic interest doctrine. The Finnish Media Federation argued that since a private supply of said services already existed in the Finnish market, there was no need to qualify textual journalistic online content as a service of general economic interest. In addition, the production of Yle’s wide textual journalistic online content leads to a disproportionate distortion of competition. The Commission’s investigation is currently pending. The provisions on merger control were last revised in the 2011 reform of the Competition Act with the purpose of bringing them further into line with EU rules. Most notably, the dominance test applied under the old rules was replaced by the significant impediment of effective competition test, which was introduced to enable the FCCA to shift the focus of its review more towards the competitive effects of mergers. Under the merger control provisions, a concentration shall be notified to the FCCA if the combined aggregate worldwide turnover of the parties exceeds €350 million; and the aggregate turnover of each of at least two of the parties accrued from Finland exceeds €20 million. The rules concerning the calculation of the turnover correspond to a large extent with the provisions of the EU Merger Regulation. Once a concentration has been notified to the FCCA, it has a period of one month to investigate and either clear the concentration (possibly with conditions) or to initiate a Phase II investigation. If a Phase II investigation is opened, the FCCA has an additional three months (or five months, with the permission of the Market Court) to approve the concentration with or without conditions, or to request the Market Court to prohibit it. If the FCCA requests such a prohibition, the Market Court must make its decision either to clear the concentration with or without conditions or prohibit it within three months. The vast majority of notified concentrations are cleared in Phase I. In 2017, the FCCA issued approximately 28 merger decisions, and Phase II investigations were initiated in only five cases. In March 2017, the FCCA approved the acquisition of Diacor Terveyspalvelut Oy (Diacor) by Terveystalo Healthcare Oy (Terveystalo). Both companies provide healthcare services to employers, private individuals and insurance companies. Terveystalo also provides healthcare services to local and joint authorities. Terveystalo operates nationwide, and its market position is proportionately strongest in Northern and Eastern Finland, whereas Diacor is a regional player operating in the Greater Helsinki Area and Turku. On 23 December 2016, the FCCA commenced Phase II proceedings concerning the acquisition, since it considered that the transaction could have negative effects on competition in the healthcare service market. The investigations revealed that the acquisition would not significantly impede effective competition, as there were only minor overlaps in the business operations of the companies due to differences in the scope of their branch networks. There would also be enough competition left on the market after the acquisition. The FCCA considered that the most significant competitor is Mehiläinen, which was also a closer competitor to Terveystalo than Diacor even before the acquisition. In addition, other competitors plan to expand their business. In April 2017, the FCCA approved the acquisition of Konekesko Oy’s motor boat production and sales operations by Yamaha Motor Europe NV, a part of motor vehicle manufacturer Yamaha Motor Company Ltd, and its subsidiary Inhan Tehdas Oy Ab. Prior to the acquisition, Konekesko operated as an exclusive importer of, for example, the target’s outboard engines. The FCCA commenced Phase II investigations regarding the transaction in January 2017. Nevertheless, the FCCA concluded that the acquisition would not significantly impede effective competition and that it is not likely that it would lead to an increase in the price of motorboats. Although the acquisition would decrease the competitive pressure faced by the parties, efficiency gains arising from the transaction would repeal most of the negative effects on competition. In October 2017, the FCCA unconditionally approved the acquisition of Mi-Hoiva Oy by Attendo Intressenter AB. Both companies are significant operators in the social services market. They offer social, rehabilitation and housing services to the elderly, mental health and drug and alcohol rehabilitation patients, and mentally disabled persons. The FCCA had begun further investigations into whether the acquisition would significantly impede effective competition, especially by creating or reinforcing a dominant market position in July 2017. The FCCA focused particularly on the effects of the merger with regard to enhanced assisted housing services. Nevertheless, according to the FCCA, there was no evidence that the parties were particularly close competitors in the markets in question, and there would be enough competition left in the social welfare service market after the acquisition. In December 2017, the FCCA conditionally approved the acquisition of Restel Hotellit Oy (Restel) by Scandic Hotels Oy (Scandic), a part of Scandic Group. Both Scandic and Restel operated in the hotel accommodation business in Finland. Prior to the acquisition, Scandic operated 27 hotels in Finland, whereas Restel operated 43 hotels in Finland. According to the FCCA, the acquisition concentrated the already concentrated accommodation market even further in five cities. In addition, the transaction reduced corporate customers’ accommodation options from three chains to two, as other forms of accommodation are not comparable to national hotel chains as possible contracting partners. Scandic would also face less competitive pressure, which in turn would possibly lead to higher prices for customers. Scandic committed to selling three hotels in the cities that the FCCA considered problematic and to refrain from participating in certain future hotel projects in two of the five cities. Nevertheless, the acquisition made Scandic the largest hotel chain in Finland. In December 2017, the FCCA conditionally approved the acquisition of Stockmann Group’s Delicatessen business (Stockmann Delicatessen) by S Group, the market leading retail chain in Finland, and more specifically Suomen Osuuskauppojen Keskuskunta (Central Finnish Cooperative Society, SOK), HOK-Elanto Liiketoiminta Oy, Pirkanmaan Osuuskauppa, Turun osuuskauppa and Meira Nova Oy. The parties to the transaction operate on the retail and purchasing markets of the grocery sector. After conducting Phase II investigations, the FCCA found that the acquisition would not significantly impede effective competition on the retail market of groceries. However, it would strengthen S Group and lead to further concentration on the purchasing market. The FCCA considered that in practice Tuko Logistics Osuuskunta (Tuko) is the only wholesaler in the purchasing market of groceries that offers an alternative to SOK and Kesko Food. According to the FCCA, the acquisition results in Stockmann Delicatessen’s purchase volume moving from its current wholesaler Tuko and thus leads to the weakening of Tuko’s purchase terms and economies. In addition, the FCCA considered that because of Finland’s geographical conditions, new operators are not likely to enter the market in the next few years. To eliminate the negative effects of the transaction, the buyers operating on the retail market committed to continuing to make purchases for Stockmann Delicatessen from Tuko until 31 December 2018. In January 2018, the FCCA approved the merger of Lemminkäinen Oyj (Lemminkäinen) with YIT Oyj (YIT). Both companies operated in the fields of house and infrastructure construction with partly overlapping operations. YIT develops, builds and repairs homes, offices, infrastructure and entire areas, whereas the merging company, Lemminkäinen, concentrates on, among other things, building and infrastructure construction and the sale of stone products. The FCCA launched Phase II investigations in September 2017, arguing that the merger might affect competition in the construction and infrastructure construction markets. The Market Court extended the deadline for investigations until 26 January 2018. However, on 16 January 2018, the FCCA announced in advance that it would approve the merger unconditionally. According to the FCCA, the exceptional advance announcement of approval was made due to decision’s significance to the market and the special nature of the matter. The FCCA gave its official seal of approval on 26 January 2018. As mentioned above, amendments to the Competition Act with regard to, among other things, some aspects of merger control are under consideration. The draft Government Bill on amendments to the Competition Act includes proposals for changes regarding, among other things, the FCCA’s handling times in merger control. Pursuant to the draft, the deadlines of Phase I and II investigations would be calculated in working days instead of calendar days. Instead of the current one month deadline, the deadline for Phase I investigations would be changed to 23 working days. Likewise, Phase II investigations would be carried out in 69 working days instead of three months. Apart from the Coach Company, Power Line and Finnish Bakery Federation cases, there are currently no major public enforcement cases pending before the courts. As for merger control, there are currently no Phase II investigations pending in the FCCA. As previously mentioned, amendments to the Competition Act are currently under preparation. In March 2017, a working group appointed by the Ministry of Economic Affairs and Employment submitted a report suggesting amendments to the Act24 shortly before the publication of the European Commission’s proposal for a directive intended to empower Member States’ competition authorities to be more effective enforcers.25 The Ministry of Economic Affairs and Employment assessed which of the working group’s proposals would be drafted into law before the directive is finalised, and then published a draft Government Bill on amendments to the Competition Act on 11 December 2017. The proposed amendments concern, among other things, the FCCA’s inspection powers, the FCCA’s handling times and the exchange of information between national authorities. According to the draft, even though the draft includes some proposals that are linked to the proposal for a directive, only proposed amendments that relate to purely national needs for modification and amendments that are not dependent on the final wording of the proposal for a directive are included in the draft Government Bill. Other possible amendments will be drafted into law after the proposal for a directive is finalised. The final Government Bill on amendments to the Competition Act is expected to be published later in spring 2018, and the first amendments to the Competition Act are intended to take effect as soon as possible. 2017 was a busy year for the FCCA regarding merger control. It conducted Phase II investigations in five cases, which is the highest amount in the FCCA’s history. In the field of antitrust, the FCCA conducted some preliminary investigations concerning suspected anticompetitive behaviour. The progress made in the Asphalt damages case marked a notable milestone concerning private enforcement. As mentioned, the Supreme Court dismissed the majority of applications for leave to appeal and made a reference for a preliminary ruling to the European Court of Justice regarding economic succession. The legislative process aiming to amend the Competition Act will continue in 2018. 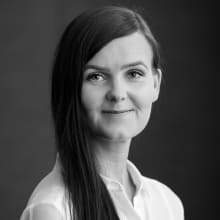 1 Tapani Manninen is a senior adviser and Anette Laulajainen is an associate at Hannes Snellman Attorneys Ltd. Annastina Kolehmainen worked as an associate trainee at the firm in spring 2018. 4 Draft Government Bill on Amendments to the Competition Act, draft of 11 December 2017. 5 Directive 2014/104/EU of the European Parliament and of the Council of 26 November 2014 on certain rules governing actions for damages under national law for infringements of the competition law provisions of the Member States and of the European Union. 7 One of the most important aspects of this new task is the supervision of significant errors and omissions, such as illegal direct awards of contract. 8 Immunity from and reduction of fines in cartel cases: Guidelines on the application of the Competition Act, 2/2011. 9 Guidelines on immunity from and reduction of penalty payments in cartel cases: Guidelines on the application of the Competition Act (2016). 10 The application was made in the Raw Wood Procurement infringement case. 11 According to Government Bill 88/2010 (p. 23), there had been approximately 10 leniency applications by June 2010. €51 million in total. Both cases are partly still pending before the courts as damages claims. 13 Judgment of the Market Court of 26 June 2014, record No. 458/12/KR and record No. 36/13/KR. 14 See, for instance, decisions of the FCCA in Liikennevakuutuskeskus of 20 December 2012, record No. 130/14.00.00/2011, Fonecta Oy of 1 October 2012, record No. 452/14.00.00/2011, and Alko Oy, Stella Wines Oy of 19 March 2012, record No. 764/14.00.00/2011. 15 Decision of the FCCA in Lapin sairaanhoitopiiri of 1 November 2017, record No. 164/14.00.40/2015. 16 The FCCA’s Guidelines on Market-Based Pricing, 2017. 17 See the Act on the Application of Certain State Aid Provisions of the European Union (300/2001), Government Decree on the Notification Procedures concerning State Aid to the Commission (89/2011) and the Act on the Openness and Obligation to Provide Information on Economic Activities Concerning Certain Undertakings (19/2003). 20 See, for instance, judgments of the Supreme Administrative Court of 13 May 2015, record No. 1234; 23 January 2014, record No. 148; 30 November 2012, record No. 3326; 9 February 2012, record No. 192; 27 June 2011, record No. 1765; 6 April 2011, record No. 949; 6 April 2011, record No. 951. 21 Protocol on the system of public broadcasting in the Member States (OJ C 340, 10 November 1997) and Communication from the Commission on the application of State aid rules to public service broadcasting (OJ C 257, 27 October 2009). 22 FCCA strategy paper for 2015–2018, p. 1. 23 FCCA strategy paper for 2015–2018, p. 1. 24 Report of the working group on reforming the Competition Act, 14 March 2017. Publications of the Ministry of Economic Affairs and Employment, 16/2017. 25 Proposal for a Directive of the European Parliament and of the Council to empower the competition authorities of the Member States to be more effective enforcers and to ensure the proper functioning of the internal market, COM(2017) 142 final, 22 March 2017.